* For EdVestInU, Citizens, Connext, CollegeAve, mefa, and iHelp applications we suggest applying through the Credible Platform. One application allows borrowers to check rates with multiple lenders and Credible currently offers $200 to customers who refinance through them. For further info, be sure to check out our Credible Student Loan Refinance Review. Interest rates have been updated as of 4/14/19. We have also updated the table to include the newest national lenders on the refinance marketplace. The lowest interest rate displayed is usually the 5-year variable-rate loan. If you are looking for a fixed-rate loan or a longer loan term, interest rates will be a little higher. We have also ranked refinance lenders according to who has the lowest 7-year, 10-year, 15-year, and 20-year loans. The idea behind the chart is to organize a large amount of information into a small space. It should be a helpful tool, but it cannot possibly include every term and condition for every company. The goal is to provide a company overview, provide a starting point in your research, and make sure that you do not miss out on any existing promotions. 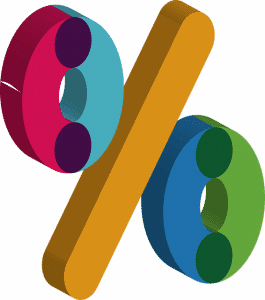 Interest rates normally change quarterly, but they can change at any time. We try to keep this page as up to date as possible, but some rates may have changed by a fraction of a percent. The goal is to have a full list of every student loan consolidation company. If there is a national lender that you do not see on this list, please let us know, so we can get them reviewed and compare them to the other lenders. The company that advertises the lowest rate will not always have the be st rate for you. The lowest advertised rates are for borrowers with excellent credit who borrow short-term (5 years). The best rate for the loan length you need could be with a number of different companies. Shopping around will not hurt your credit score. The credit bureaus treat multiple credit inquires in a short period of time as one single credit check so that you are not penalized for shopping around. Think about fixed vs. variable rate loans. The variable rate loans often are the lowest advertised, but they can go up. If you will be borrowing for a long time, consider a fixed rate loan, even if it means a slightly higher interest rate right now. Machines, not humans, decide the interest rates. It is normally a waste of time to try to negotiate a lower interest rate with a lender. The interest rate determination is based upon a computer algorithm. Your time chasing a lower rate is better spent by reaching out to many lenders. Find out for yourself. Just because everything can be done online does not mean it should. Interact with their customer service as much as possible to get a feel for what it is like to do business with the company. The best time to do this is when you have an approval in hand. You can quiz them on the process and the terms of the deal they have proposed to you. Make them win your business. If two lenders offer the same rate, call them both and ask why you should go with one lender over the other. Force them to explain why their loan terms or programs are better than the competitor’s option. Student loan consolidation is a simple process. Find a new lender and get approved for a loan. Your new lender then pays off your old debts in full. With your old debt paid off, you now owe the new lender. Payments are made to the new lender at the lower interest rate and/or lower monthly payment that you previously agreed upon. This is not an all or nothing process. If you have two loans at 3% and two loans at 11%, you can refinance the high interest debt and leave the low interest debt alone. Consolidation and refinancing are pretty much the same thing. Refinancing means one lender pays off a single existing loan. Consolidation means a lender pays off multiple existing loans and you repay one larger single loan. These terms are often used interchangeably. Ask for help. Major financial decisions are never easy. Do as much research as possible, consider consulting financial professionals, and don’t be ashamed if you don’t understand something. Try our student loan forums to ask questions, exchange ideas, and get tips.